Marea Chernoff is an active freelance musician based out of Vancouver. She is currently principal oboe with the Kamloops Symphony and Lions Gate Sinfonia while also playing frequently with various groups in British Columbia. Marea has played with the Vancouver Symphony Orchestra, Vancouver Opera Orchestra, Broadway Across Canada, Ballet B.C., and the CBC Vancouver Radio Orchestra. She has been heard in chamber and orchestral concerts on CBC Radio. Marea is involved in early music and historical performance, playing Baroque and classical oboe and recorder, regularly performing with the Victoria Baroque Players. She has performed with Early Music Vancouver, Early Music Alberta and various other groups. She is the Professional Liaison for the British Columbia Recorder Society. Marea is an avid chamber musician, involved in several chamber groups: Vancouver-based Ad Mare Wind Quintet, Ad Mare Reed Trio, Trincomali Trio, Cascadia Reed Quintet and regularly performs in recitals and school shows in the lower mainland and around the province. 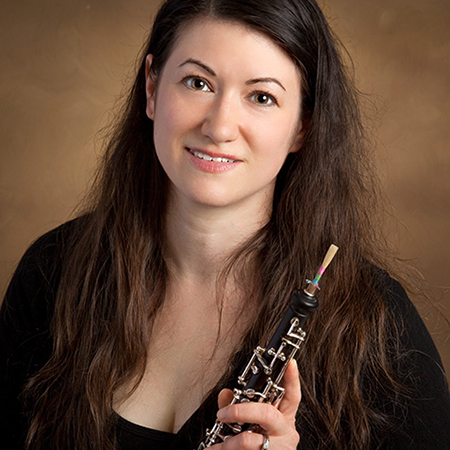 As a dedicated educator, Marea is on the oboe faculty at several schools, colleges and universities, including Kwantlen Polytechnic University, Capilano University and Douglas College. She is on the faculty at Douglas College as the recorder instructor and coaches for the University of British Columbia Baroque Orchestral Mentorship Program. She is frequently called upon as a clinician and coach. Born and raised in Vancouver, Marea holds a Bachelor of Music degree from the University of British Columbia, an Artist Diploma from the Vancouver Academy of Music, and completed her formal education with a Master of Music degree in Performance from Boston University.